There is nothing quite as exciting as waiting and waiting and fiiinally getting a package when you've ordered something online. In order to take advantage of some VIB sample rewards, I placed a Sephora order online (I usually just go in store, but they were completely out!). Yesterday, it finally arrived! I literally tear into that box like a little kid on Christmas. I just didn't want to wait one second longer! 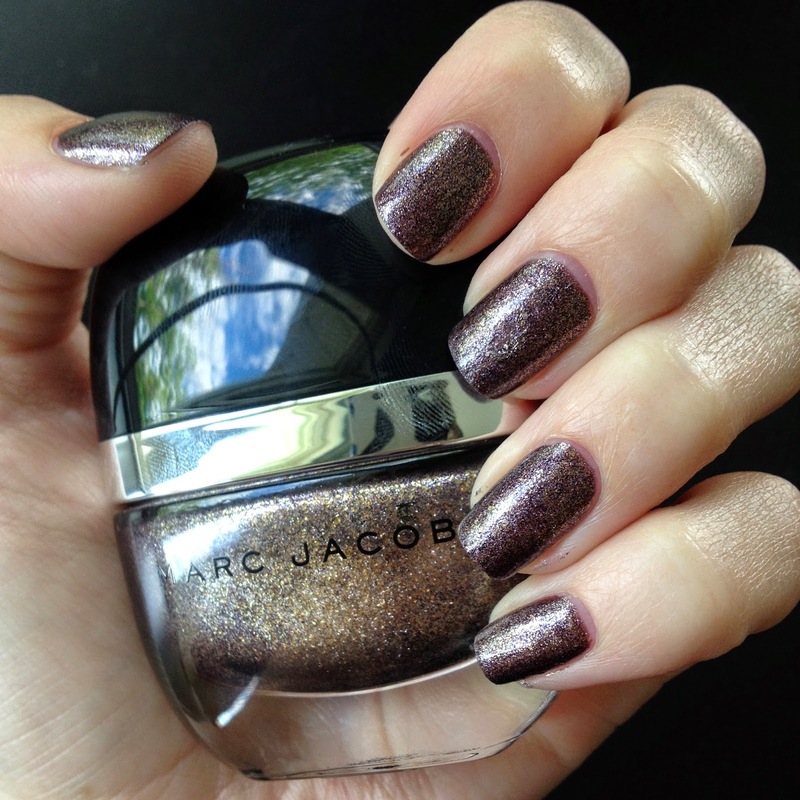 One of the purchases I made is a product I've been eyeing for ages - Marc Jacobs Enamored Nail Polish in Petra (22$). Petra is a dark stony bronze filled with shimmering particles - the colour is really hard to describe, you just need to know that its stunning! It's completely unique in my collection and I don't know how I possibly lived without it! Ok, maybe that's a bit of an exaggeration, but I am so obsessed with the complexity of this colour. This nail polish paints on incredibly smoothly, no streaks and no fuss. It dries quite quickly as well -that's a plus! The perfect viscosity and ease of painting. The brush is really easy to use and the bottles are just soooo chic. I love them, although, they are a bit wide and awkward to store. The nail polish dries to a lovely shiny finish, I felt a bit silly putting a top coat over it. However, I did notice chipping quite quickly. That doesn't bother me too much since I change my polish so frequently but if you're looking for an ultra long-lasting nail colour, this isn't the best choice. Overall, I can't stop staring at this colour. It's sophisticated and neutral but also shimmering and just liquid amazingness. It truly delivered, and at such a steep price, I expect nothing less.